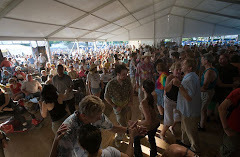 There are a ton of festivals in Louisiana to attend and one of the most popular and ongoing is Festival Acadiens et Creoles in Lafayette which originated back in the 70's. If interested here is an interesting history article on the festival. Zydeco Dance Styles... Evolves as the Music Evolves..